I did something pretty over two years ago now – I sold my daily driving car and have been using Uber and Lyft to get everywhere I need to go. I’d been toying with the idea of ride-sharing everywhere, but honestly, it’s a little scary to think about. But after running an Uber﻿﻿ vs. Owning A Car scenario over and over again, my wife and I decided it was worth it. To frame the picture for you clearly, when I started this experiment, I was working 5 days a week about 5 miles from my home. I didn’t always work at the same time – sometimes mornings, sometimes evenings. My wife and I have two kids – one of them is in school 2 days a week (and school is about 9 miles from home). We’re still keeping my wife’s SUV to get them around town. That means there’s one car for both of us to share. We’ll cover the logistics of that below. Fast forward to today – I work for myself and have an office located about 12 miles away. I go to the office about 3 days a week, plus other meetings around town as needed. Now with over two years of data, I can say for sure that taking ridesharing everywhere is on par or cheaper than owning a car. Let me break it down for you. My car was over 10 years old when I sold it. I drove that car to 110,000 miles. Yes, it still had some life left in it, but it was becoming more and more expensive to own all the time. I was starting to have to make larger and larger repairs, and in the next 6 months, I likely would have needed new tires and brakes (both big expenses). I sold my car for $5,600 – which is honestly higher than I expected to get for it. Before making the leap, I actually had been trying out Uber daily to see how it would work for my morning and evening commutes. It gave me a great cost snapshot and allowed me to compare pretty accurately. I will note, that I don’t always take Uber both to work and home from work. During my trial week, I took Uber 9 times. I also took Uber to other destinations, like coffee. This is UberPool pricing as well. UberX pricing averages about 50% more per ride (about $12 versus the $8 below). Taking Uber looked like $200 cheaper per month! While both of these numbers can vary, I expect my car ownership cost to rise (either because of more repairs, or I’m simply going to have to purchase a new car). The tires and brakes alone this year would likely cost over $1,000, and that’s barring any other issues. My Uber costs could also rise, as I could take more trips, or Uber could simply change their pricing. I’ve also had several instances where UberPool wasn’t available and I had to take UberX at the higher price. Note: Uberpass is still available but they have changed the terms to a flat rate between two destinations. Lyft now offers a similar pass where instead of a flat rate, you pay a monthly fee and get 25% off all your rides. Your first question might be, how do you work full-time, yet only Uber it 9 times per week. Well, my routine isn’t the same everyday – even when I had my car. My wife and kids would come meet me after work 1-2 times per week – maybe we would go to dinner, or go out with friends. Now, instead of meeting places and taking both cars, my wife would pick me up and we all go together. Fast forward to 2019, and I’m self employed, and I work about half the time out of an office at WeWork and the other half the time at home. I also end up going to random meetings and events quite often, so there are trips involved there. For example, during the month of March, I took 24 trips on ridehshare. I spent a total of $293.34. Given I’ve been doing this for almost two full years, I thought it would be awesome to look at total cost for an entire year, as well as some other stats. Note, it was hard to break out some transactions to put in the actual costs of just commuting, as some of these trips were taken while on travel, but those amounts are so minor, I still think this gives a great insight into what I spent and what it might cost you. For all of 2017, I spent $3,486 using ridesharing to get around. That equates to an average of $290.50 per month spend on commuting costs. That’s amazingly on-par with what I’m currently spending today. In March 2019, I spent $293.34 on my ridesharing expenses. All of my 24 trips combined were for 323 miles. Considering the average cost of car ownership is estimated to be about $9,122 per year according to AAA, I think I’m on par. This number is based on driving 15,000 miles per year, and breaks down to $0.608 per mile. Now, if you apply that same math to what I drove in March 2019, I’m actually not doing great. I should have only spent about $196.38 for that same 323 miles. But, car ownership and driving is one area where costs are much higher for the first few miles than the last miles. So, given my low amount of driving, the high fixed costs (like buying/leasing a car, insurance, maintenance, gas, etc) would not skew in my favor for the little bit I drive. As such, I’m probably spending less than, or equal to, what I would have spent by owning a car. Taking Uber or Lyft everywhere isn’t always great. There are definitely cons to going car free. Here are a few of the biggest I’ve encountered so far. ​The number one biggest con is simply logistics. Going to a one car family requires more coordination. If I need the car for some reason, it means my wife is likely trapped at home (and with one or both of the kids). With that being said, it can be a challenge to get up, get going, get my one child to school, then drop the car back off, and Uber it home. Sometimes I just take the car to work and she gets help picking it up midday. ​I’ve had a few instances where I’ve had to wait 15 to 20 minutes to get my ride. Luckily my job doesn’t require me to be there at an exact time, but that could be a struggle for those who are considering it. I’ve learned to wake up earlier, check my Uber app for availability, and request a ride early if I have to.​ Plus, it gives me an extra 20 minutes or so every morning to get my side hustle on! The pricing is still the biggest con, because it’s not cheap. At my current expense rate, it was break even (but it could be cheaper if I tried). However, the pricing changes, and sometimes there are no UberPool vehicles available in my area. I continually have to check Uber and Lyft to see who is cheaper. When I first started this, Uber was $1-2 cheaper than Lyft. Now, I’m using Lyft almost full time. Something that’s important to consider is that the more you ride, the more discounts you get. I haven’t paid “list” price for a ride in years. Because I ride so much, I’m constantly given offers such as 25% off all rides, and more. This likely plays a big factor into what I spent every month. I get that ridehsharing everywhere won’t work for everyone. It all depends on the amount you drive, distance of your commute, and more. But, based on two years of doing it, I think I’m at least on par to every alternative in my situation. But honestly, the worst case scenario is that this just doesn’t work out and I have to go out and buy a car again. Or, Uber and Lyft could go out of business (or be regulated out of town). As of today, that hasn’t happened – and I don’t think it will in the future, at least not the near future. 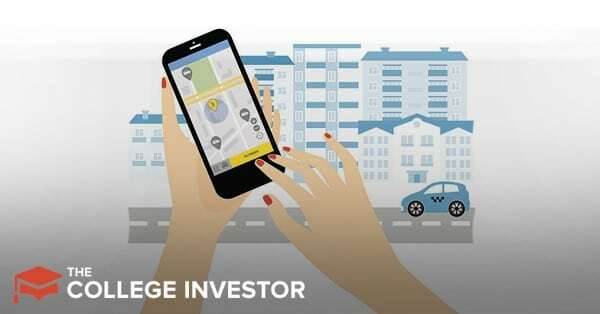 ​Have you tried ridesharing everywhere? 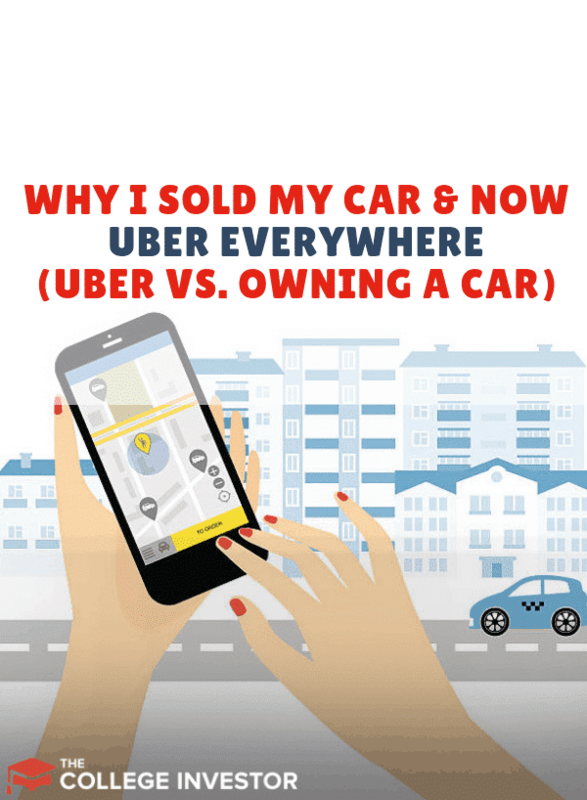 The post Why I Sold My Car And Now Uber Everywhere (Uber vs. Owning A Car) appeared first on The College Investor.